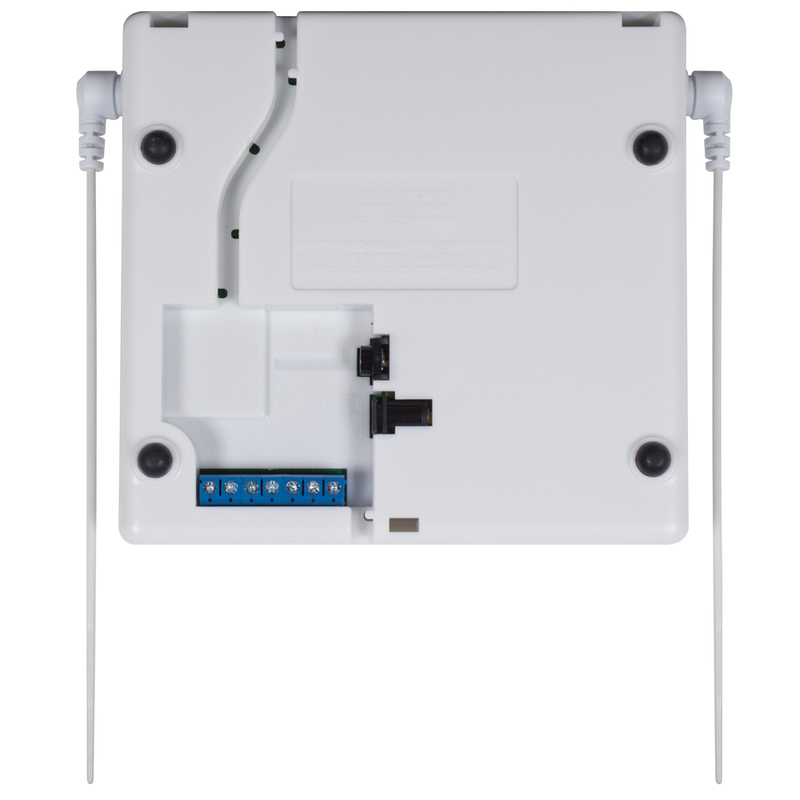 The STI-34018 is an 8-channel wireless receiver that can connect up to 8 wireless STI devices to alert the user when an event occurs. STI offers multiple wireless products designed to alert you of several different conditions. This new 8-Channel Receiver allows you to monitor up to 8 different STI devices at a single, convenient location. When placed in Enroll Mode, it allows you to select 1 to 8 different zones that will represent your STI device(s) best, and enrolls it when the receiver detects one of the STI device's wireless signal. It also allows you to choose which devices shall have a latching memory condition, when selected during enrollment. 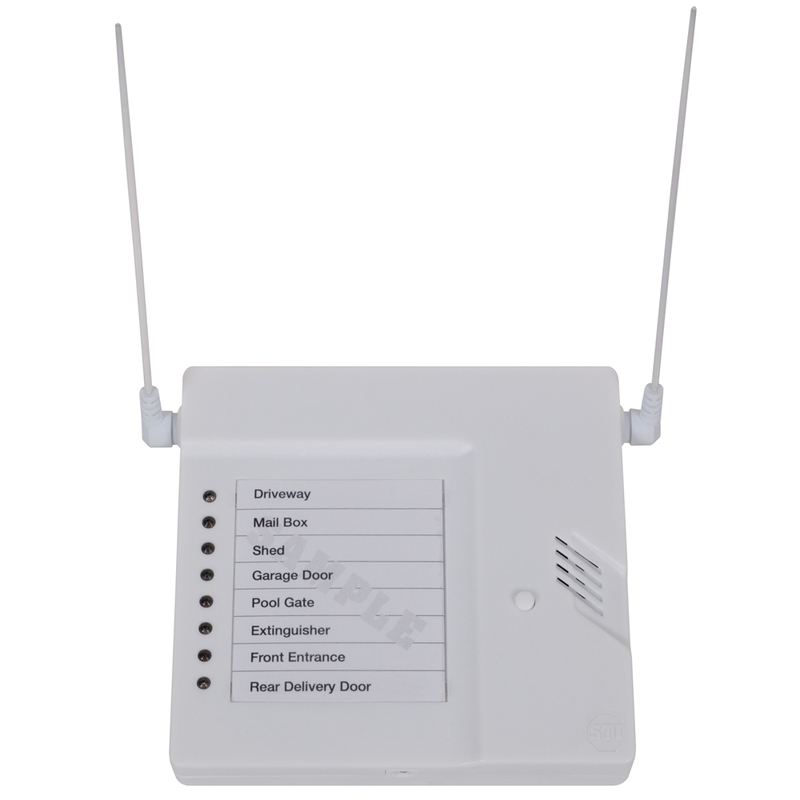 You are able to select turning on a siren, sounding a chime, triggering a normally open or normally closed switch, or turning on an external 12 VDC output. The device measures 5 ¼ x 5 ¾ x 1 ¼ inches and is supervised for low battery and signal reception. It has a mirror function which works with up to 4 additional receivers. Connecting devices can be latching or momentary by zone. Monitors up to 8 different STI devices at one convenient location. Measures 5¼ x 5¾ x 1¼ inches. Audible chime tone and 12 volt output for siren. Mirror function (works with up to 4 additional receivers). Dual antennas for increased signal strength. Operates yp to 1000'' (line of sight). Form "C" dry contact for remote monitoring. 300mA 12 volt available for siren output (with 500mA 12 volt supply). Devices can be latching or momentary by zone. Key fob for alert or on/off. Includes 12 volt power supply.